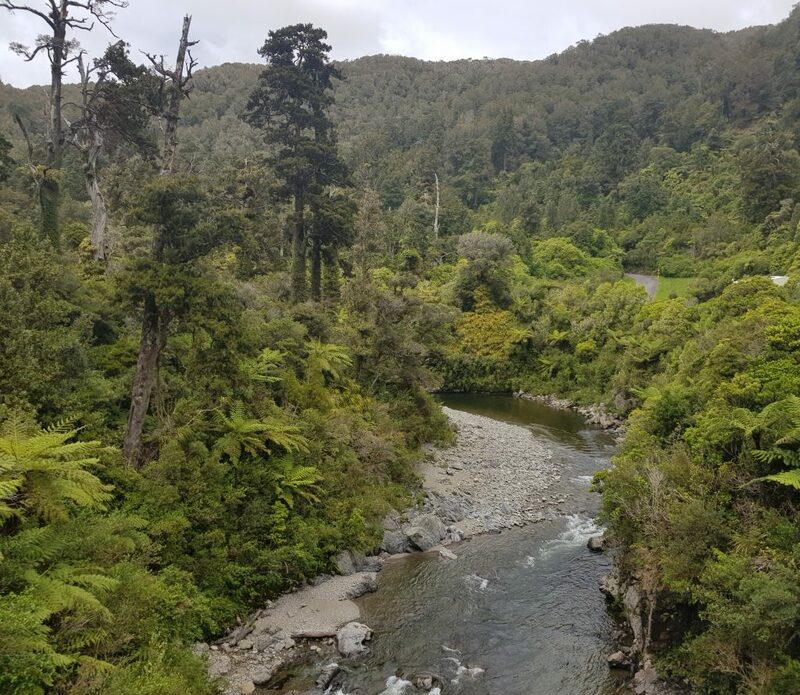 As I continued southward through the North Island on my great New Zealand road trip, I entered a strange half-known land. Place names began to sound familiar, though I could not connect them with memories. Likewise, I began to recall hazy snippets of memory that I could not connect with places. I spent my childhood in the Wellington region, and now I was back. I knew what I wanted to find: the bridge, the tree, the rock, the big pipe, the house with the rollers. I recalled one name, and was pretty sure it was associated with the tree, but the other things? I’d just have to hope they were nearby. With that I was off. 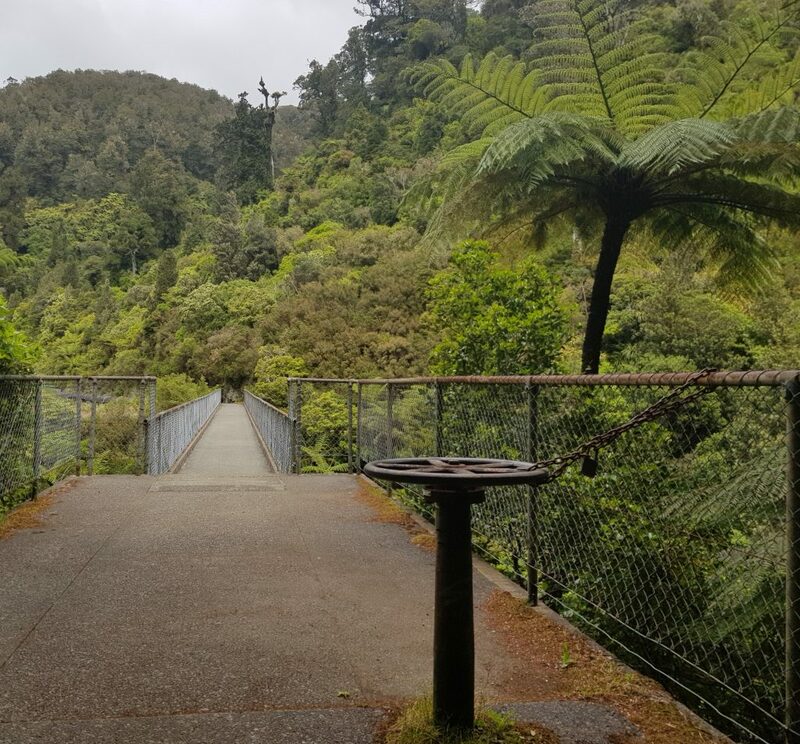 I continued on the State Highway 2 route past Featherston and entered the Rimutaka Gorge, another familiar name which only now I was able to connect with a winding route through steep forested hills. 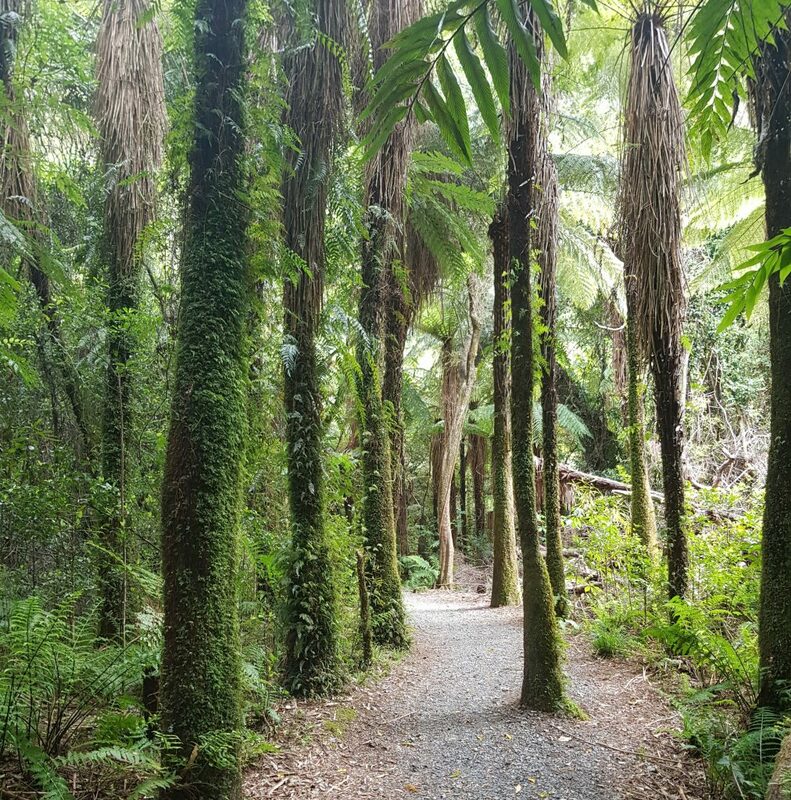 The GPS lady on my phone directed me up the mispronounced Kaitoke Waterworks Road, where I eventually found a shelter by the entrance to the Kaitoke Regional Park Camp Ground. This, or some previous iteration of it, was where my family spent several sun-drenched holidays in my youth. After checking out the signage in the shelter, I felt more confident in continuing. I pulled into the car park for the Swing Bridge Track, and already I suspected I might be drawing close to one of my treasured childhood memories. I skipped across the long-remembered bridge, which seemed to have remained unchanged across the great gulf between my youth and the present. 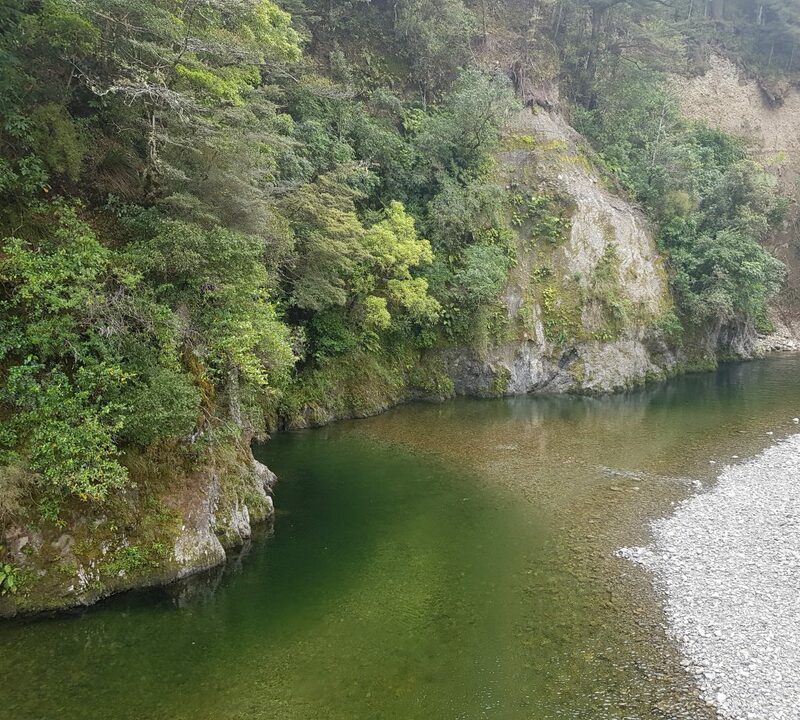 Upstream were the deep green pools of the Hutt River, while down stream was the convergence with the Pakuratahi River, which gives this place its name: Pakuratahi Forks. Beyond the bridge I entered a lush rainforest. First I took the short loop, which lead me past a few interpretative panels back to my start point. No sign of The Tree. I nervously considered my time frame. Perhaps the longer swing bridge track would finally reveal my tree, but on the other hand, I needed to be in Wellingon by 4pm if I wanted to make the ferry. The lure of my childhood eventually won, and I embarked on the longer walk, which in my memory was a journey not to be taken lightly. I rounded the next corner and…there it was. Most memories, visited once again in adulthood, turn out to be smaller, less epic, a pale shadow of a memory that should have been left to flower in the imagination rather than wither in cold reality. So it was a great shock to see my tree again. It had not diminished in size or grandeur. I still had to step up to reach it and I still could climb inside. It was perhaps a tighter fit and I may have been a little more acutely aware of the possibility of spiders sharing my space. 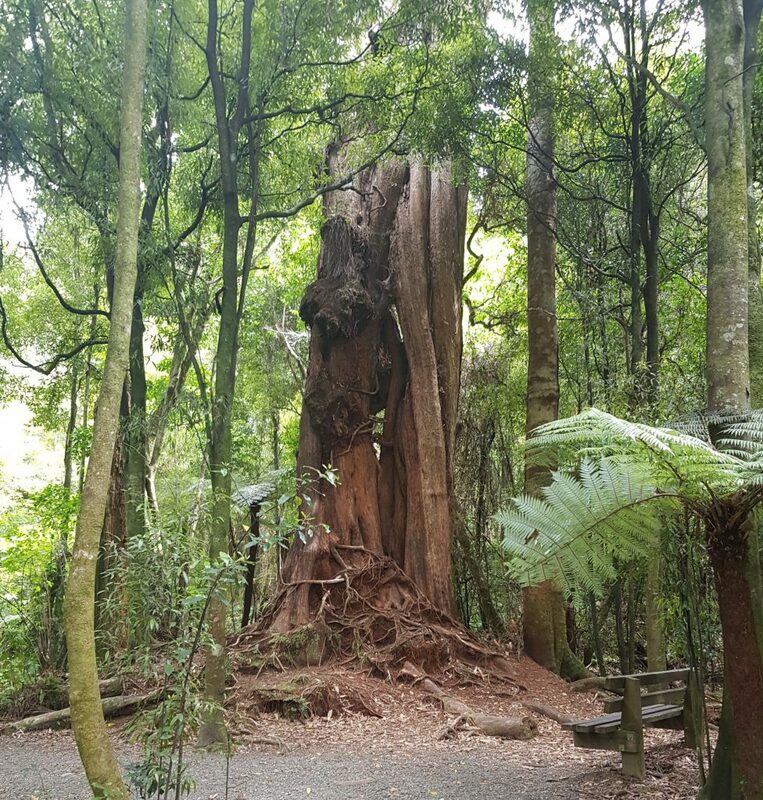 The only downer here was that I was now old enough to understand that this tree was likely to be a northern rātā, which begins life as a hemi-epiphyte and grows down around its host tree. The jury’s out on whether these plants strangle or simply take advantage of their hosts, but the fact remains that my tree may have consumed another. The hollow space that I so enjoyed as a child…is the space left by its original host. Hoping to find more monoliths of my past, I continued. It was strange – I’d forgotten how different the forest was here from the forests of the south. 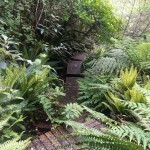 Everything was a brilliant green, and tree ferns and stark black tangles of supplejack were prominent. 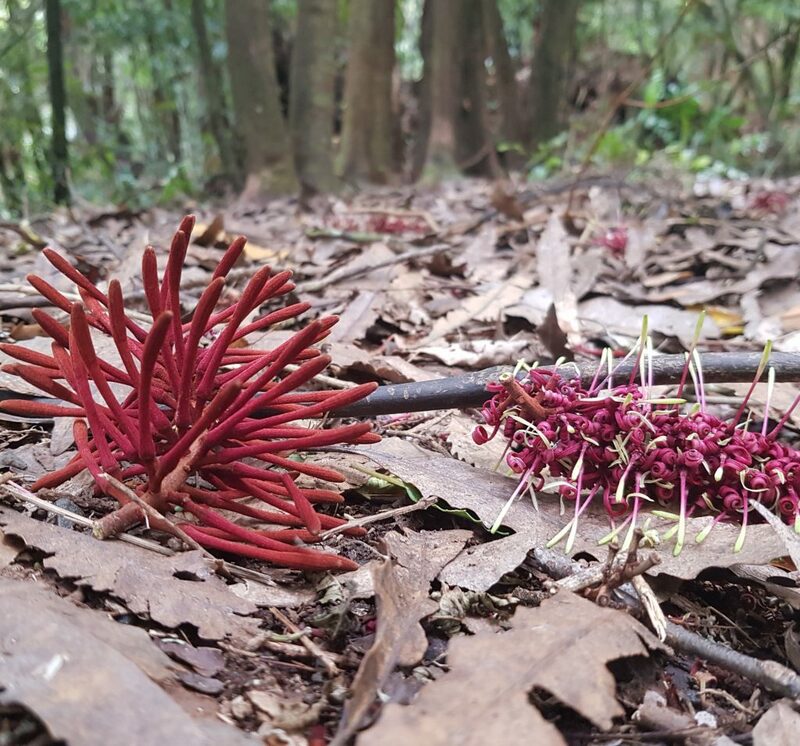 The large fallen kawakawa blossoms on the ground seemed exotic in their strange forms. I followed the track, pausing occasionally to glance down at the river below, until I came up against a right-angle corner that lead me across a bulky concrete bridge. 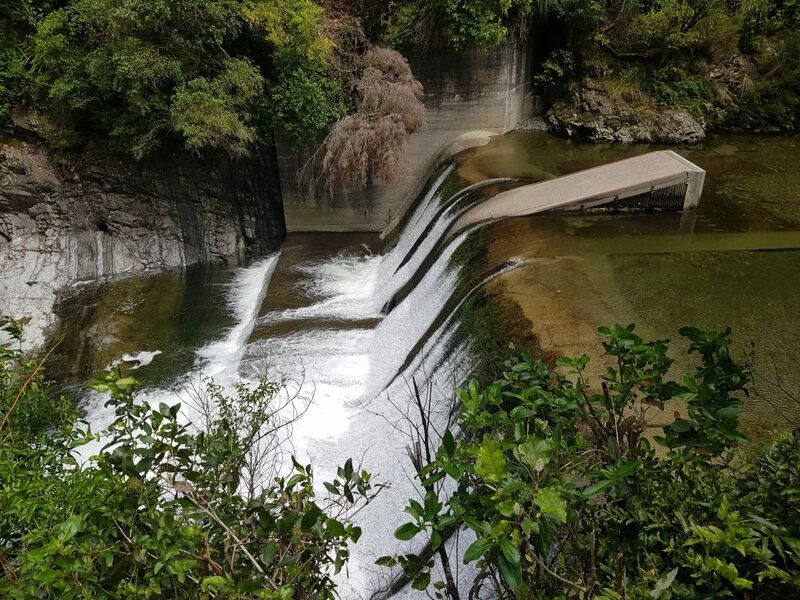 Turns out providing a walk-way for humans is only the structure’s secondary purpose, as its main calling is as a flume bridge or aqueduct to carry water from the intake weir up stream across the river to the strainer house. You’d think the chain on that valve would be unnecessary but I’m sure I can remember trying to turn it as a child. It looks like just the sort of thing you’d twist to reveal a secret area if real life were anything like computer games. 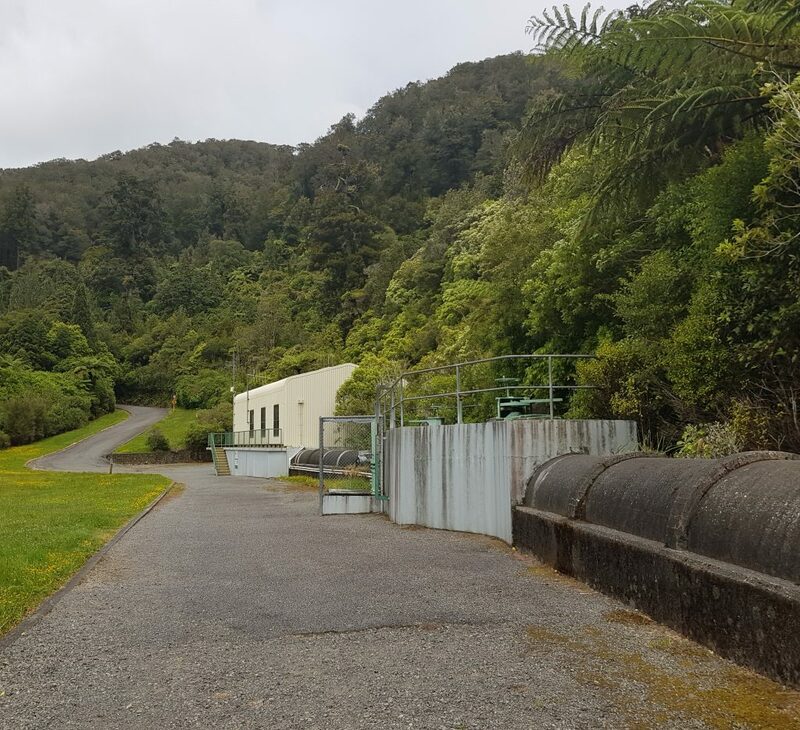 The Kaitoke waterworks scheme had its beginnings in the 1930s as pressure increased on Wellington City’s existing water supply, both due to population growth and to new housing developments in the Hutt Valley and Porirua Basin. It was not until the 40s that it got the go-ahead, but the Second World War sucked New Zealand dry of manpower and by the time that was over the Korean War threatened supply of the 10,000 tonnes of steel required for the pipes – 54km of main pipe line and 12km of branch lines. Despite all these hiccups, the Kaitoke scheme was completed in 1957, and sated Wellington’s thirst for the next fifteen years. Continuing population growth and the introduction of mod-cons like washing machines meant that more and greater supplies of water were continually needed. 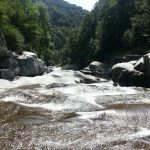 I crossed the river to see what I might find. On the far side another piece of my childhood fell into place – for here was the enormous pipe of my memories! This lead directly to a small yellow building, and I had a feeling I knew what I might see through the windows. 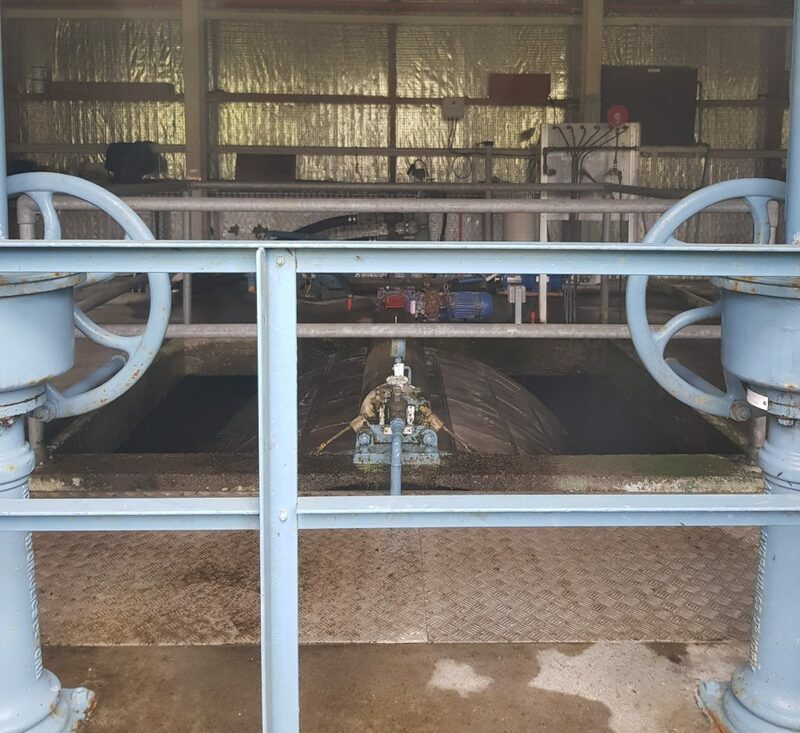 Sure enough, a peek inside revealed the giant rollers of the strainer house, endlessly churning to filter out sand and other debris, which up until 1987 was the only treatment this water received before being piped to homes and businesses. From here, I headed down the road that leads to this isolated building. 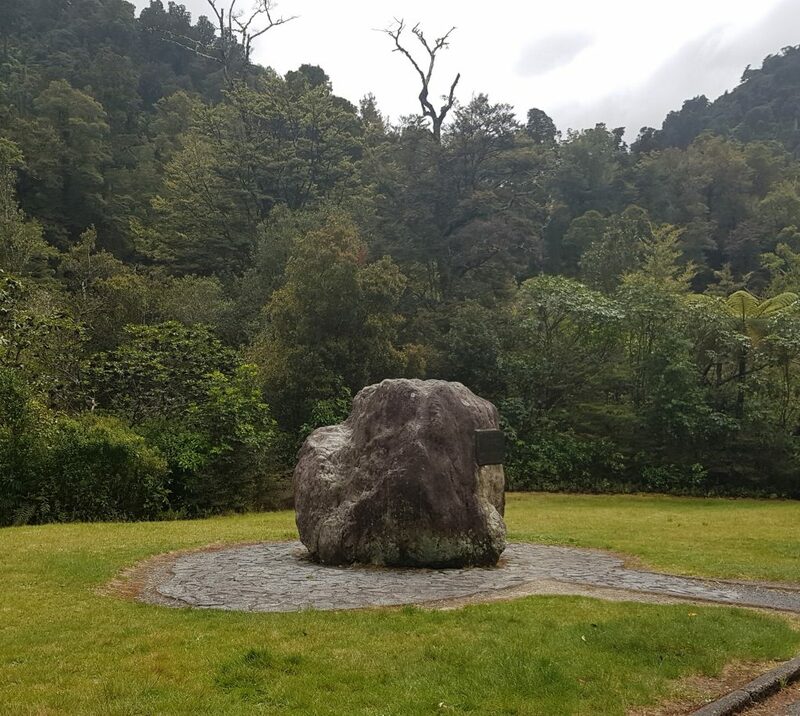 A sign indicated the entrance to “Rivendell” – something I couldn’t possibly remember, since all my memories preceded the epic Lord of the Rings movies – but I was more interested in the large rock opposite. Two decades on there was nobody to ask for a boost so I could perch atop the boulder, which bears a plaque displaying the William Blake quote: “Great things are done when men and mountains meet”. 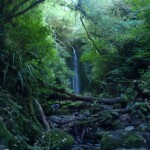 Only after my reunion with my rocky friend did I turn to explore Rivendell. There wasn’t a great deal to see. Apparently most of the movie Rivendell was computer generated, save for a few trees which starred as extras. Unfortunately I just wasn’t the sort of superfan who’d be delighted to locate a tree that appeared in a brief scene in a famous movie. The only other object of interest here was a half-size replica of the arch through which the Fellowship of the Ring departed Rivendell for Mordor. Having seen the elven grove, I crossed a road bridge to find myself back at my vehicle. I still had a little bit of time so I decided to follow the waterworks road a little further. When I reached the limit of public vehicle access I disembarked and walked a short distance to discover something I didn’t remember at all. This impressive weir, 40m wide and 8m high, and which raised the upstream river level by four metres, is where the water is sourced for the scheme we discussed earlier. Building it was a challenge, as in addition to the previously mentioned shortages, this chasm is prone to flash flooding. And now it was time to finish my journey in this half-forgotten land, for I had a ferry to catch. 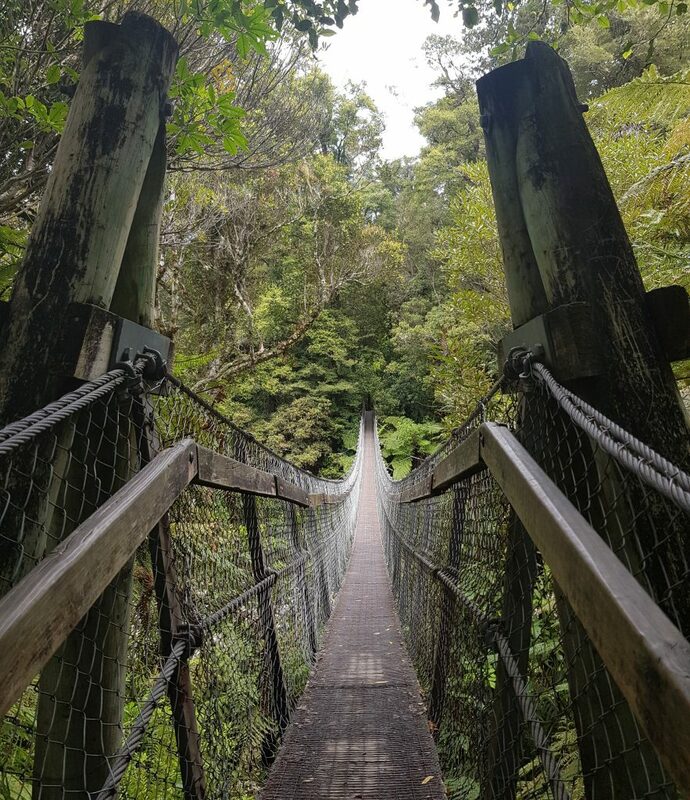 I left the rainforest pocket of childhood dreams and returned to the highway of modern life – carrying with me the secret knowledge of a bridge to the past. Hi! Love the magic in these photos especially the bridge and fallen flowers. I know them as rewarewa, “Knightia excelsa” or NZ Honeysuckle. The tree itself is majestic and the flowers are beautiful! Hope to come back to read more of the text later. By the way.. please tell me – are you related to the artist Susan Nunn of Dunedin? Sure, I’ll let her know! I think she’ll be thrilled! I,m so glad you found the “castle tree”.